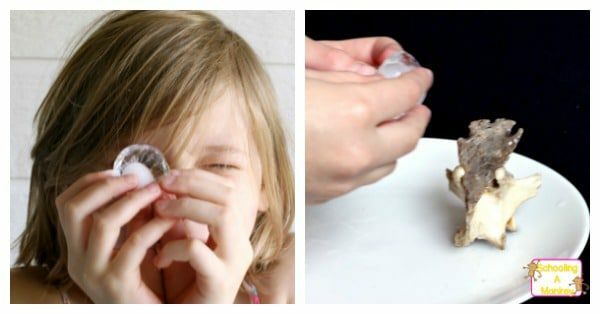 How to Make a Magnifying Glass- from ICE! Our family was watching YouTube one day, when we ran across a survival video where a man transformed ice into a magnifying glass. He used this ice magnifying glass to start a fire. His ultimate goal was to use the ice as a method to start a fire, but we were curious to see if we could figure out how to make a magnifying glass from ice. We thought this would make an excellent addition to our list of science experiments for kids. We could hardly believe how well this science experiment worked! 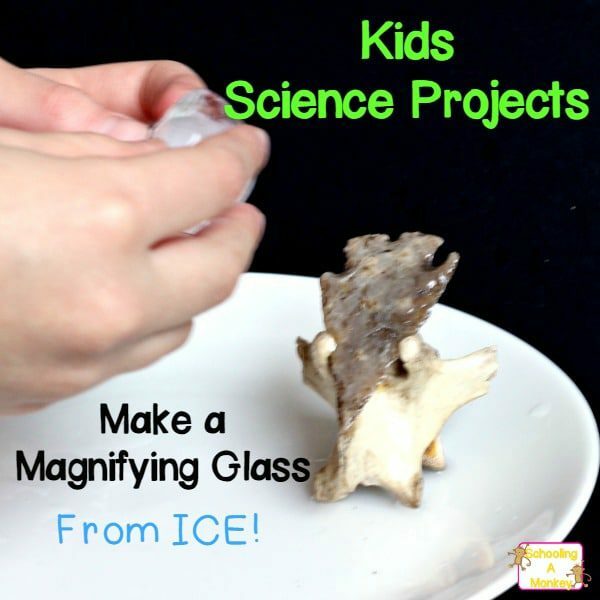 Use these tips to transform ice into a an amazing magnification device! We filled our spherical mold half-way with purified water and stuck it in the freezer overnight. The next morning, we removed the ice from the mold and hand-shaped it to make the top flatter and the edges softer. This made the sphere look more like a camera lens, which improved the magnification. This is what the ice magnifying glass will look like when you are finished shaping it. Monkey used the piece of ice to magnify the world around her. We were both surprised to see that our ice magnifying glass actually had greater magnification than our handheld magnifying glass, although the image was a bit wavier. Monkey had fun magnifying objects with the ice piece until her hands froze and the ice piece became too small to hold. Monkey theorized that if our ice magnifying glass had been larger, it might have even greater magnification. That is something we’ll have to try next time! 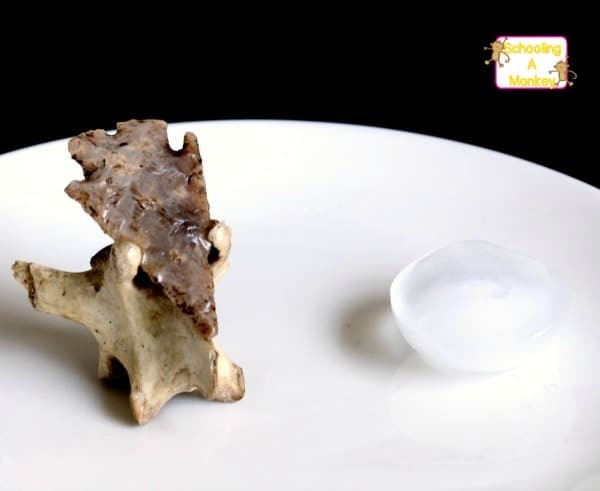 Ice is able to magnify objects through the process of angular magnification and refraction. The light bounces off the object and travels through the magnifying glass, which bends the rays and create a virtual image on your eyes. Your eyes try to straighten the light rays which makes the object appear larger than actually is. Find a detailed explanation on magnification here.